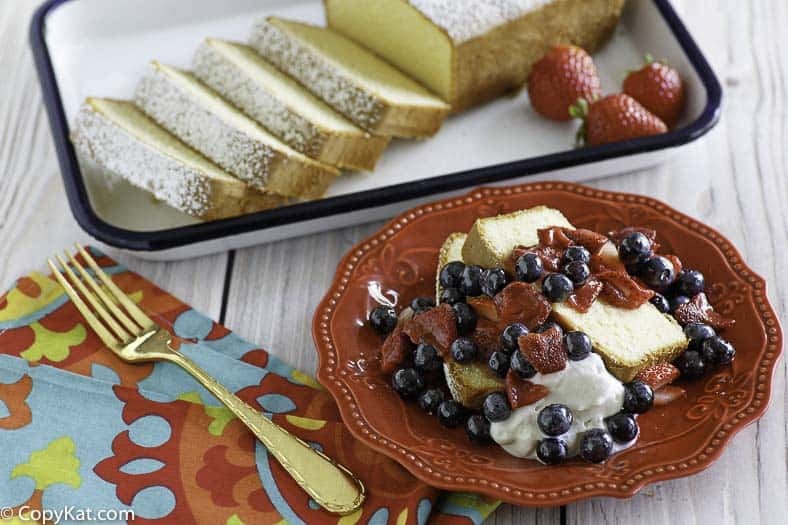 The Sara Lee pound cake can be the base for strawberry shortcake, or it can go well with a cup of coffee. This was one of my first Copy Cat Recipes, so you can enjoy Sara Lee Pound Cake at home. The Sara Lee pound cake has long been a fixture in the frozen section of your grocery store, and now you can make it at home. This pound cake will go well with a cup of coffee. 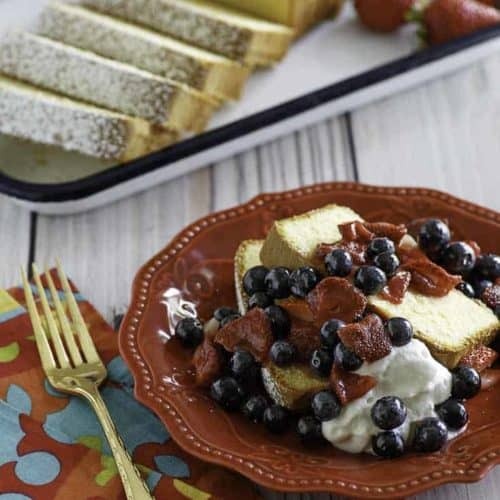 Or, it can be the base for strawberry shortcake – you may want to butter the sliced pound cake and toast it to make a nice change. Sara Lee was only eight years old when Charlie Lubin, an enterprising baker, hit on the idea of naming his new cheesecakes after his daughter. He told his daughter that the product “had to be perfect” because he was naming it after her. In 1956, Lubin’s company was purchased by Consolidated Foods, where Lubin remained as a senior executive for many years. The brand name of Sara Lee became so popular that in 1985 Consolidated Foods decided to call itself the Sara Lee Corporation. Sara Lee has often appeared in television ads for the company’s bakery products. To read more about the history of Sara Lee, click here. Pound Cake Used to Weigh Four Pounds! 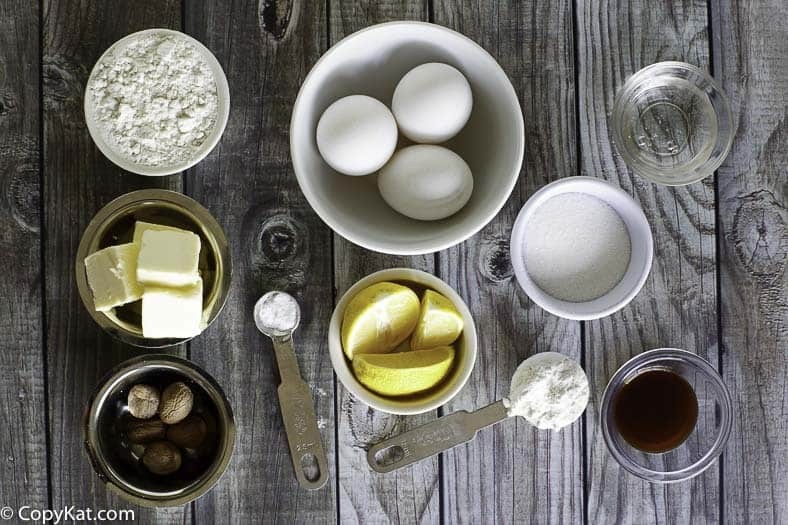 Pound cake originated in Europe in the first half of the 18th century, and all of the ingredients together weighed in at four pounds – a pound of each of its four ingredients – flour, butter, eggs, and sugar. This is why it was called pound cake. As you can imagine, this early way of making pound cake produced a pretty big cake. In modern times, the recipe for pound cake has been modified and today’s pound cake is lighter and richer with a prominent butter flavor. 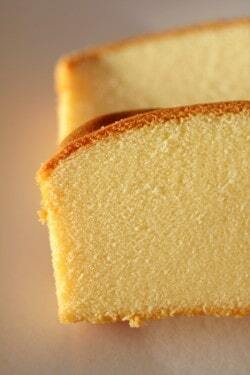 If you would like to read more about the history of pound cake, click here. This was one of my first CopyKat recipes. To make this pound cake, I recommend taking out cold ingredients from your refrigerator ahead of time to let them warm up – they combine best at room temperature. It’s unnecessary to sift the flour, so putting this together will take just a couple of minutes. You can bake this in a standard-sized loaf pan which measures 9″ x 5″ x 2-1/2″. And, please use a preheated oven. When this pound cake comes out of the oven, it will be wonderfully warm and completely irresistible. If you can resist enjoying a slice straight out of the oven, let the cake cool down to room temperature then let it get cold in your refrigerator. This is when the cake will go from a bit crumbly to much denser in texture just like Sara Lee. 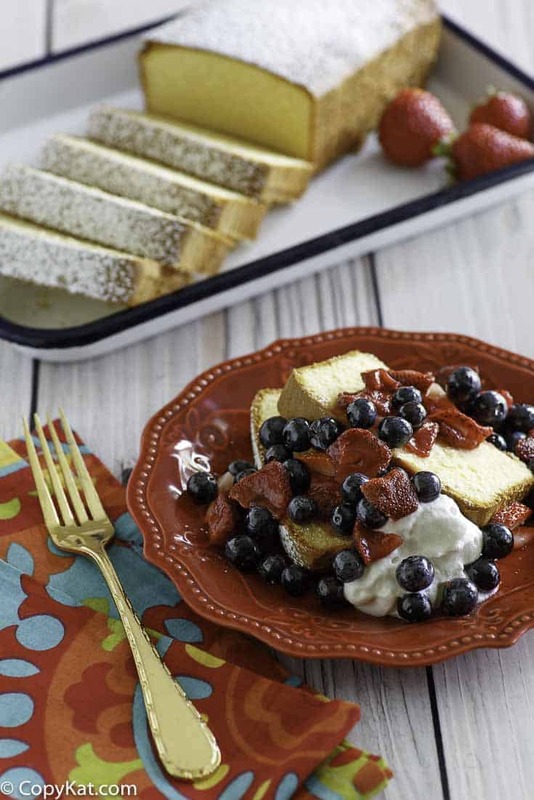 This pound cake will be one of your family’s favorite desserts. To make this recipe I recommend allowing all of your cold ingredients to warm to room temperature. The ingredients combine best at room temperature. It is unnecessary to sift the flour. So putting this together will take just a couple of minutes. You can bake this in a standard sized loaf pan which measures 9″ x 5″ x 2 1/2. I hope you enjoy this copycat recipe for Sara Lee Pound Cake. You can make your own homemade version of the famous copycat Sara Lee Pound Cake at home. Preheat oven to 325 degrees. Allow butter to reach room temperature if you can try to use unsalted butter. Cream sugar and butter together until light and fluffy. Add eggs one at a time and mix well. Add in flour, powdered milk, baking powder, and corn syrup. Beat each in well. Add juice of half a lemon, salt, vanilla, nutmeg, and mace. Make sure everything is well blended, and pour into a greased loaf pan 9" x 5" x 2 1/2. Bake at 325 degrees for 45 minutes, checking for done-ness by inserting a toothpick and seeing if it comes out clean. You almost want to under bake this. Can I replace the powdered milk? I don’t know what you would replace it with. You could swap it out for flour, but it won’t turn out quite the same. The cake is in the oven. Just a peak and it looks and smells perfect. I am going to be making smaller loaves for Christmas gifts to go with pear preserves we canned this fall. Do you know what temp and time I might need to use for 5″ x 3″ x 2″ small aluminum loaf pans?